It’s Marathon Monday! This is my first Marathon Monday as a Boston resident and I hope to get out of work a little early today so I can meet up with friends and take in the event. To do that I had to put in Sunday work time, and since I write these posts on Sundays, this will be a quick one! And don’t worry, I’m sure I’ll do a marathon-centric blog post, but seeing as I haven’t experienced it yet I’m holding off! Share your marvelous on Katie‘s link-up. Thanks for hosting, recent-birthday-girl! It was a marvelous weekend despite a Sunday spent feeling pretty guilty about my eats/drinks from the night prior, and also not loving my body at all. But gotta push on and hopefully the meaningful day here in Boston will help me refocus on what is most important in life. Tried out a new-to-us spot by the office with some coworkers on Friday, while we killed time before an event. Asian restaurants are not places to go for good cocktails but they are places to go for pretty drinks! In honor of our 90+ Cellars Paint Nite, I had the job of dressing the most interesting man with our new Rose t-shirt. Which by the way I get to model on our website! Happy Friday! Some of you may have the day off, but I am working a full day as well as events both tonight and tomorrow night. Luckily these events – Paint Nite and Wine Riot – are events I’d totally attend on my own time for fun. So I’m pretty cool with it, and am excited to write up blog recaps too. One of the many responsibilities of my new job that I sure don’t mind. 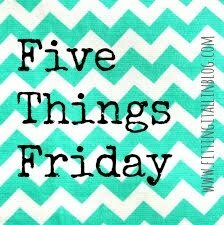 I’ve got a few things I can talk about today so I thought I’d discuss five of them for the sake of alliteration, and in honor of Five Things Friday. 1. I finally ran into a meh Boston restaurant experience. They can’t all be amazing right? I’ve had a great track record so far but on Tuesday I went to the soft opening of a new North End speakeasy called Parla, and was left unsatisfied. The drinks, to be fair, were awesome. My first one (pictured below) contained both Domain de Canton and Campari and it blew me away! I also had a prosecco cocktail with more Domain de Canton plus mint and lemon – it pretty much screamed Kaitlin. I’d return to Parla in a second for cocktails! 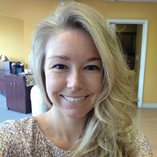 A very special happy birthday to my darling blend Kaitlin of For Love of Carrots! I will be visiting her this weekend so we can celebrate in person and I just can’t wait! I’m glad I’m not the only one who finds it helpful to focus on goals that don’t have to do with food/fitness! Though I have to admit I was a bit of a fail with some of my goals the day I set them – blah. Appreciate More: I certainly kept my head up despite snow changing my gym plans and being a general nuisance. After all I got to go home to hang with my dad, who’d just returned from our FL condo (bad timing Dad! ), and my boss was nice enough to let me leave work a bit early to try to beat snowy rush hour (I didn’t, but it was a nice thought!). I had plenty to appreciate, and I certainly did so. Cook At Home More: More on that later in this post! Separate From My Phone More: I was definitely on my phone less yesterday than usual, most likely due to writing my blog post, but I still didn’t want to leave it downstairs at all during dinner. I was watching SNL on the DVR with my dad and kept finding so many tweet worthy things to comment on – not things Drake said, but #shitmydadsays! Go Outside More: Another fail. I knew that a polar vortex and a storm was coming so I just did not go outside during the work day, not even to take one breath of fresh air. However I was feeling a lot more upbeat yesterday and didn’t really find a need to go outside to “center myself”. I had lots of paperwork to do and that is always nice for me, to just plug away at my desk with my music going. Whenever I do a What I Ate Wednesday post (thanks Jenn!) that features at-home meals, it shows off my mom’s amazing healthy dishes. Truth (though I’ve never been secretive about this): pretty much every one of my recipes was created by her. Well today I’ve got something new cooking…two dishes THAT I MADE. They may not be recipes I created (I’ll be sharing one of those later!) but they are recipes I took from my Recipes I’d Actually Make Pinterest board. And now I’m able to take a cue from Sam and move those two recipes to a board titled I MADE THIS. Yes in all caps, because I”m that excited about it. The reason I don’t have much experience with cooking is because I live at home to save money (I always feel the need to throw the reasoning in there…I’m not a 30 year old living it up in my parent’s basement – although my room IS in the basement). My mom is an awesome cook and she always makes super-healthy dinners for me. Believe me it’s come in handy especially given the fact that I do the gym after work, and when I get home I am just hungry and ready to chow down after my shower. But I won’t be living at home forever and I definitely have been fearing getting too content with my mom’s cooking and too dependent upon restaurants, take-out, and the Whole Foods salad bar. My parents have been spending more time than ever in our FL condo so I decided it was the perfect time to practice my cooking! Today is the last day to enter my giveaway for a personal wine cellar from Staples – don’t miss out! And remember to check out my post about New Britain Museum of American Art events…they announced yesterday on their Facebook page the winner of their giveaway for a pair of tickets to tonight’s Scotch vs Bourbon event. Tickets are still available – hope to see you there! This past Tuesday night I settled in no the couch with a perfect fall dinner (especially given the cold temperatures that evening)…a steaming bowl of white chicken chili with added turkey sausage and roasted zucchini. My Instagram of the meal got lots of positive feedback, and a few recipe requests. (This is also the same chili I enjoyed after my night out on Wednesday). 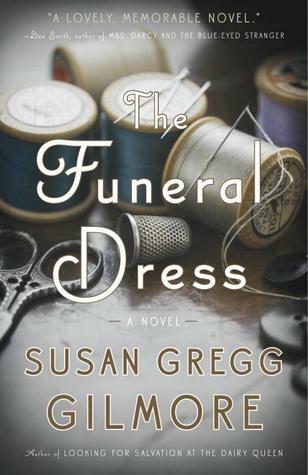 No one has ever entrusted impoverished Emmalee with anything important, but she takes it upon herself to sew her mentor’s resting garment in The Funeral Dress by Susan Gregg Gilmore. Join From Left to Write on October 15 as we discuss The Funeral Dress. As a member, I received a copy of the book for review purposes. My mom actually read this October From Left to Write book club novel before I did, and I went into it a bit wary because she wasn’t sure I’d enjoy it. She did though, because The Funeral Dress takes place in the South around the same time she grew up in the same region. I ended up enjoying it too! My parents’ Southern heritage, my fond memories of visits to relatives in the South and to the University of Tennessee, and my fondness for most people I meet from the area may have biased me slightly toward that enjoyment. But no matter where the novel took place, I am confident in saying that I think Susan Gregg Gilmore succeeded in telling a story that had me invested in its characters and glued to each chapter. From Left to Write is all about inspiring members to publish not a review, but a blog post on any topic the novel inspired within us. I actually drafted an entire post about fond memories of visiting my relatives in the South, but I really didn’t like it. I felt forced while writing it and I hate hitting “Publish” if I’m not happy with what I wrote. SO I just deleted it all and am starting over right now. I’m actually going to take a totally different turn (think a turn that the GPS told you to make, and so you did, but then you end up crashed into a lake) and write about a completely silly topic – tater tots. Cocktails with Home Wet Bar! This post is brought to you by HomeWetBar.com! I received a complimentary product to review, but all thoughts and opinions are my own. I can’t say I was surprised when HomeWetBar.com contacted me to tell me about their site. I feel like my blog has given away the fact that I am a major cocktail enthusiast. 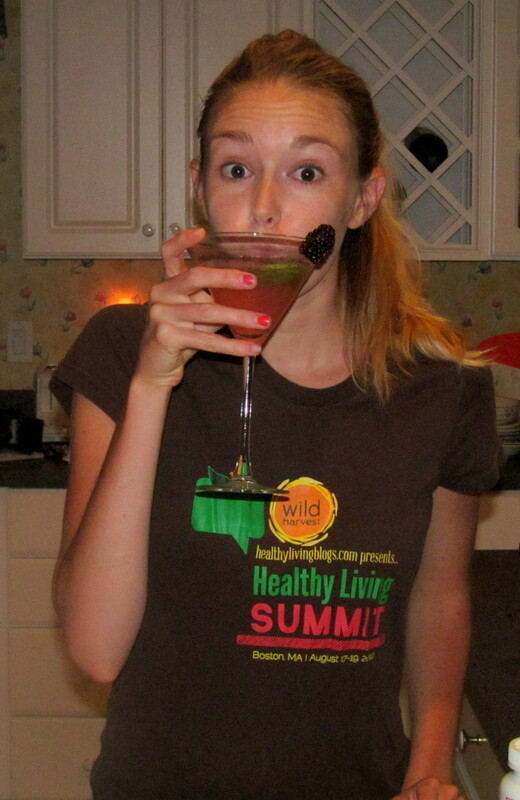 I’ve been known to rank drinks and judge mixology competitions. So a product review for an online retailer of alcoholic beverage accessories seemed like a great fit! No, I am not a lush. I am very into tasting cocktails and observing how they are made, but haven’t had much personal experience in the art of mixology. I decided this was the perfect opportunity to try out my own drink recipe, with the help of the Pro Shaker 10-Piece Bar Set. Judgment Day is April 5 at CT Cookoff! Ah, the moment I know many of you have been waiting for…the giveaway winner of the Albion Go Long Crew tee! I wore mine again last night to Group Power!